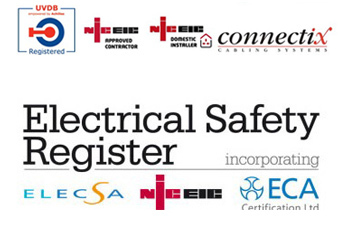 NSE(Wales)LTD are a fully approved NICEIC electrical contractor, and we hold all the necessary qualifications, health & safety and insurance requirements for your domestic needs. There is always a team of domestic installers ready to design, install and certify all work carried out in a professional and efficient manner. We have over 50 years experience of all manner of domestic installation works ranging from extra socket outlets to a complete installation.